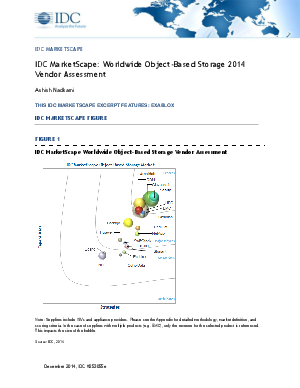 Object-based storage (OBS) platforms continue to perpetuate cloud and enterprise IT infrastructure. As businesses move toward petabyte-scale data storage, OBS solutions are turning out to be the right choice for balancing scale, complexity, and costs. By way of their core design principles, OBS platforms deliver unprecedented scale at reduced complexity and reduced costs over the long term. This study includes analysis of specific notable players, specifically Exablox, in the commercial OBS market, with broader portfolios and a global scale. This white paper will allow the reader to understand.